As you know, my Mom comes every year (usually every summer) to visit me, but so far, none of my friends (with the exception of CB, who used to live here) has ever come to visit me, and that’s kind of sad, as I would love to bring them here (or you know, my brother and his wife and his daughters, for example). So, when I found out about Invite The World (To Vancouver) I found it an amazing idea. I travel a lot OUTSIDE of Vancouver, so it’s kind of neat to have a contest where you invite the world to come to you. 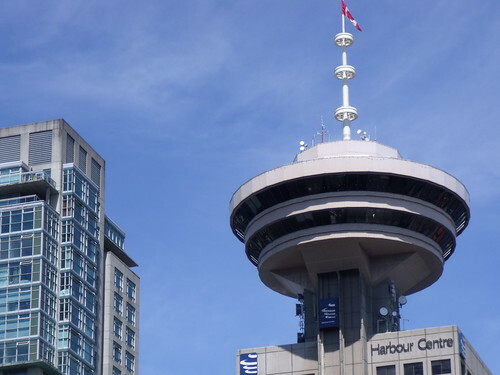 To celebrate the launch of Invite The World, the partners have given me an Annual Family Pass to the Vancouver Lookout at Harbour Centre (Value $89) to give away to one lucky reader. 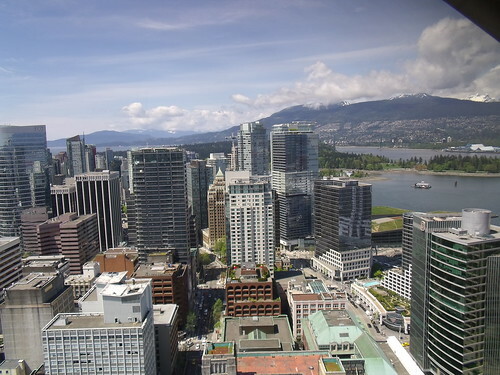 The Annual Family Pass allows unlimited access to the Vancouver Lookout for two adults and two children (ages 5 to 12), for one year from the date of purchase. I think this idea of Invite The World is brilliant and I look forward to hearing what people think should be the first and foremost Vancouver attraction that folks from out of town should check out. Also, if you are interested in sharing more content on what your guests might enjoy on a trip from Vancouver to other destinations, check my Travel tag. I will draw a winner on November 8th at 2pm. Disclosure: This contest is brought to you by a team of engaged Vancouver community and tourism partners. I (Raul) have not received any monetary compensation to administer this contest, nor have I received a complimentary pass to the Vancouver Lookout either. As always, I retain full editorial control on anything posted on my site. thanks! i’ve been once but want to come back! (not participating in the giveaway) I love to show the view from Canada Place. However that might change since I saw the view from UBC yesterday. Granville Island! One of my favourite places in the city. The very first thing that I would show my invited guests when they arrive to Vancouver is Canada place. It is iconic. Mostly for logistical reasons, but also because it’s so unique, the first place I’d show my visitors would be Chinatown. There are so many things to choose from… It depends on the guest! I’d probably show a guest Stanley Park, the Seawall, the beaches, and hopefully a taste of different funky neighbourhoods like Strathcona, Commercial Drive, or South Main. First would be the beaches/Seawall if they’ve never been to the West Coast before. I would show them Granville Island – so much to do and see in that small space -I love the stores! The first thing I would show them is Stanley Park. I think Stanley Park is very essential to Vancouver as Central Park is to NYC. Granville Island really impressed my friends from Germany, so I would make that a must-see for future visitors. Also, Granville St. at night looks great with all the neon signs. First thing I would do is drive them slowly down Robson Street and then down Denman into Stanley Park, stopping at all the viewpoints along the way! Best way to show off all that our city has to offer – the natural beauty as well as the commercial craziness! I’d probably show them Granville Island. There is so much to do there! I would show my invited guests the wonders of Downtown, the crazy shops and events that just sort of happen on the go, and after that, Granville Island for the artisan atmosphere. The first thing I show them is Stanley Park!!! I think it’s absolutely beautiful! I would take them to the Vancouver Aquarium! Most likely hit up Gastown! plenty of awesome places to eat and drink, shop, great scenery- you can’t go wrong. My guests are always subject to the multiple dog-friendly places so the whole family can come along. Trout Lake, Spanish Banks and Kits dog beach, Queen E… love how our city has some gorgeous places open to pups too. Granville Isaland and Gas Town – my visitors love seeing these places! The first place I take them is Stanley Park for a walk along the seawall, ending up at English Bay in time for sunset. It’s the view that stole my heart when I first visited Vancouver. UPDATE – The winner of my contest is Grace (entry via Twitter). Congratulations! Could you please email me at Raul at Hummingbird604 dot com? Thanks!